Survey uncovers the most favoured programming tools around today. You know what developers really love using? Python. That's according to Stack Overflow's new report, issued this Wednesday. 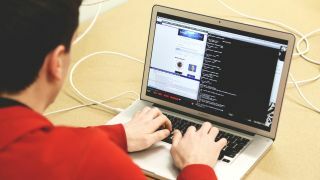 Polling almost 90,000 developers, all over the world, the new report says Python is a programming language that's both in-demand and enjoyable to use. It is also the fastest-growing major programming language, pushing both Android and Java to the sidelines and becoming the fourth most common programming language in use today. "We have not seen a technology that large grow so fast ever, in the history of Stack Overflow," says Julia Silge, data scientist at Stack Overflow. "It's becoming a really dominant and important tool that's used across so many areas of software engineering." The downside of the report, at least when Python is concerned, revolves around the potential that the programming language may have hit peak performance. "Do I think that more people will start using Python than SQL? That would be tough, SQL plays a role in huge swathes of the economy. I'd be surprised if next year Python overtakes SQL, just because SQL is so dominant," Silge says. A mighty endeavour so far, but there's a whole mountain ahead of Python to climb. Another programming language that has garnered a lot of sympathy around the world is Rust. Not as popular as the abovementioned powerhouse, it's been topping the Stack Overflow's “most loved” list – four years in a row now. According to Silge, Rust is as "if you took C and designed it now, with everything we know about better practices for language design." "People who use Rust just love it".